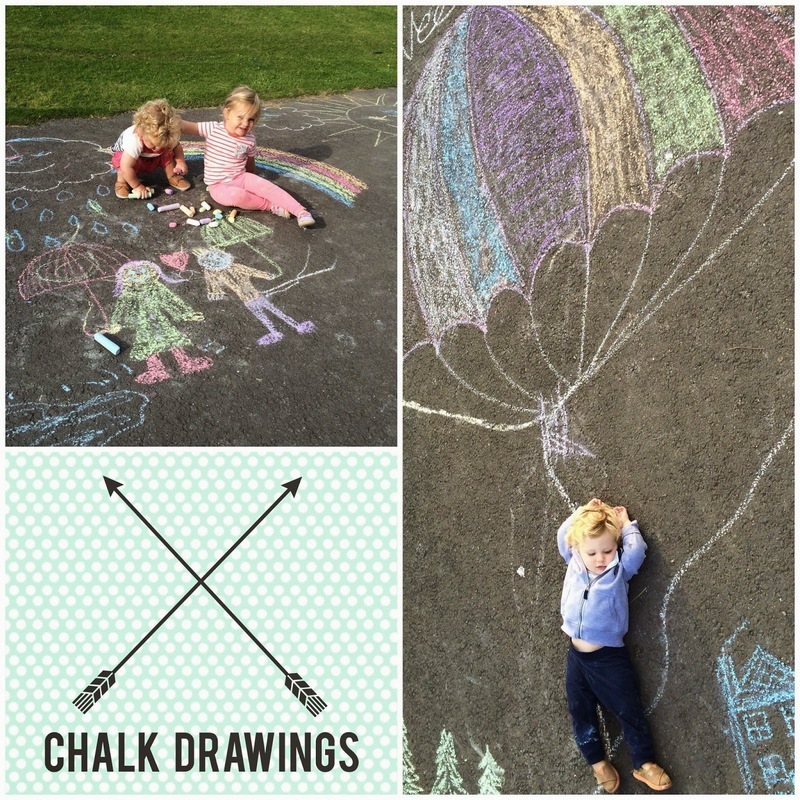 This post is the first installment of a series titled, Dublin, Our Playground. It's here that I'd like to highlight our favourite spots for fun and amusement, be it playgrounds, park lands, play cafes, local attractions or whatever happens to keep my two children entertained! (And bonus if I actually enjoy it too!) The best part, for all you Dubliners and soon-to-be toursists, all places in this series will fall within the borders of Dublin. And for those readers who don't live here or are not planning to come visit soon- what in the world are you waiting for?! I do hope these posts inspire you to visit one day in the future though. For this first post, it seems appropriate to showcase the place where we spend the majority of our free time outdoors: Cabinteely Park. This is our local park, located in Cabinteely village. Cabinteely is a village located just off the main N11 road (Stillorgan Dual Carriageway) through South Dublin, bordering our neighbors in Cherrywood, Foxrock, Cornelscourt, Carrickmines, and Deansgrange. There are two main entrances to the park. One is located off of Old Bray Road and has minimal metered street parking. The other entrance is at the top of the park, off Park Drive and this entrance boasts a free car park. When we're visiting, we typically are walking and therefore enter off Old Bray Road. I recommend entering from this entrance, as it is a spectacular view, where you are greeted by a path bordered with towering pines, leading down to a well-populated duck pond. In addition to the ducks, there are also two swans, and the occasional heron. You can pretty much wander to the pond on most any day and they'll be folks of all ages with their bag of slightly stale bread in hand. Feeding the ducks has most definitely become a favorite pastime for my family. Just beyond the duck pond is a stream with a small waterfall. Its beyond there I should warn you to mind the hills! Cabinteely Park is a very hilly area, with minimal long flat stretches. It's all gradual though, and while reasonably hilly, very doable for visitors. The playground is located in the middle of the park grounds and it includes several areas that can appeal to a wide variety of age groups. There is a toddler slide unit with balance beam and climbing wall, two toddler swings, a couple of ride-ons, stand alone play panel units and several other pieces too. A larger, wooded castle-like structure towers over the playground area, and offers a place for the older children to play too. This structure includes a rope bridge leading to the zip line, for those brave hearted souls and further along is a massive climbing structure for the even braver! The sand pit is the most popular spot for my children. It includes a couple of diggers, as well as a very cool water feature with an Archimede's screw. Hours have been spent playing here, as well as getting absolutely filthy! We typically bring our own pails & spades, but anytime we've forgotten ours there are always plenty of kids willing to share their extras. Visitors can also find random, scattered pieces of artwork throughout the park. The most obvious, and thought-provoking piece in my opinion is the thirteen 7' granite sculptures by Irish-born artist, Agnes Conway. Titled "Theatre", there are six "Performers" and seven "Audience" members included in the piece. This sculpture represent's Conways' view of an Utopian society where the Audience can watch the Peformers play out the evils of the world, but not have to actually interact with or make mention again of them. Of course, the kids' just think they are some really cool heads to play hide-and-seek around! And those performers resemble Pez-like figurines so I naturally love them! Historic Cabinteely House is located on the grounds. Currently under Dun-Laoghaire-Rathdown County Council ownership, it hosts occasional cultural events, including these upcoming heritage lectures and tours. 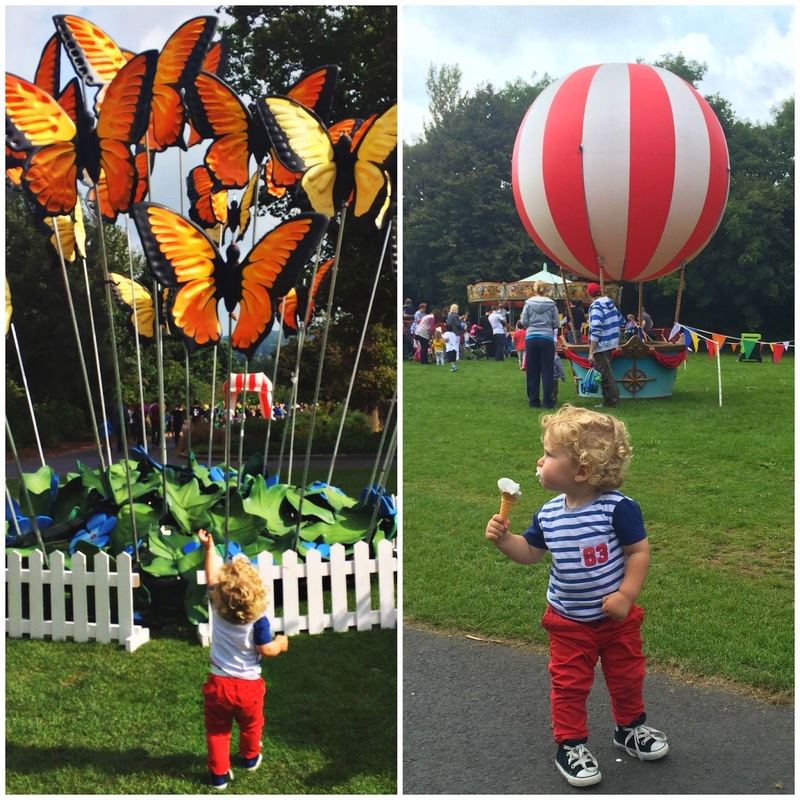 The house was also host to the 2014 Cabinteely Carnival, a fantastic family event that I hope continues this year! There are plenty of green areas, perfect for a game of frisbee or football, as well as several wooded areas with trails throughout the park, perfect for exploring with the young ones. There are wooded signs placed throughout the park to indicate types of flora and fauna which can be found here, as well as any wild animals that live in the area. Cabinteely Park appears to be a popular spot for birdwatching, so bring those binoculars along too. The grounds are incredibly well maintained and the grounds keepers add another source of entertainment with the bustle of tractors and maintenance crew busy work. With several picnic tables located throughout the entire park, there are plenty of options for a picnic area. And if you've forgotten the lunchboxes, there is a cafe at the top of the park called the Stable Yard Cafe. It's a great spot to grab a quick lunch, a takeaway coffee or it offers the perfect shelter if you need a place to take cover from any rain. In nicer weather, there is an outdoor Japanese Garden with ample seating for relaxing with your cuppa. And summertime weather calls for a 99 ice cream from the van parked at the playground's gated entrance. One of the best part's of the warm weather season is the arrival of the wild flowers here. I swear they are simply magical! The colors and variety are stunning and they make the most gorgeous bouquets. Wildflower Crowns are for the boys too! With approximately 45 hectares (11 acres) of land, I can honestly say that we are constantly discovering new places within Cabinteely Park. Make it your next adventure! And let me know when you're visiting, chances are we might already be there! Have you visited Cabinteely Park? What did you think of it? I'd love to hear your thoughts in the comment section below! Thanks & enjoy exploring! For directions to Cabinteely Park, check out the county council's website. Looks like a magical place to visit! The sculptures and the wood pathways would be my first to see spots when I visit. Oh and i want to ride the digger! Well be prepared to wait in line for that digger! You can imagine it's a popular ride. Can't wait to show you all our favorite places to go! Beautiful/Magical place Erin. Thank you for sharing this with us. I knew I'd seen you before! Loved this blog of yours !!!!!!!!!!!!!!!!!!! Thank you for the great visit to what appears to be a special and magical place across the pond. It looks so beautiful. The crocuses are just starting to bloom right now! It's such a pretty place, but once the flowers make their appearance, it's extra special.